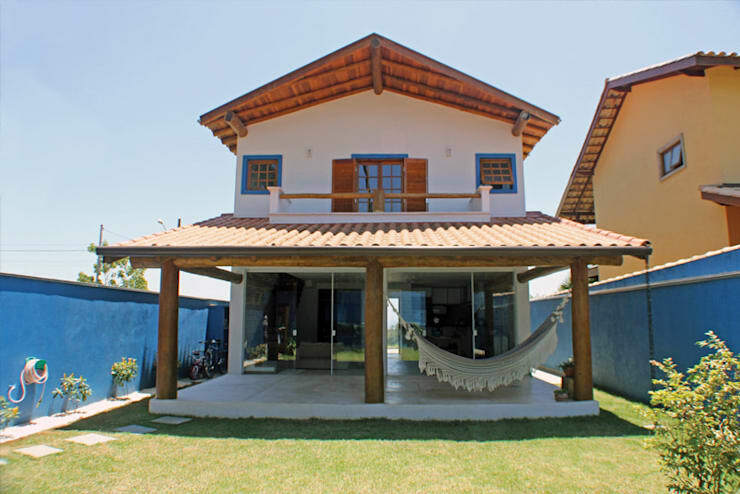 In this edition of homify 360, we head to Brazil. A beautiful rustic home that is aesthetically attractive awaits us, and we cannot wait to be amazed by the tour. The spacious house is comfortable and interesting, with an elegant element of simplicity making it a relaxing atmosphere to enjoy the sunshine and serenity. Although there are some modern design aspects that have been included in this home, the use of rustic furniture is a definite highlight. From this perspective, we can see that the home has a friendly atmosphere that is relaxing and fun, with the hammock and terrace being the perfect place to enjoy the great outdoors, regardless of the occasion. 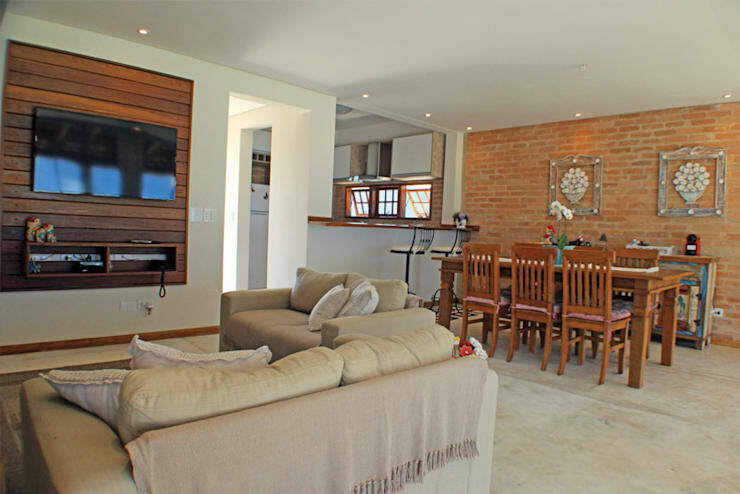 In this open plan living area, we can enjoy the mixture of rustic and modern décor, wooden furniture along with natural light and the brick wall creates a room that is chic and pleasant, while the modern layout of the open planned setting brings the living space into a current time frame. The architects ensured that it is a home of functionality, that’s for sure! 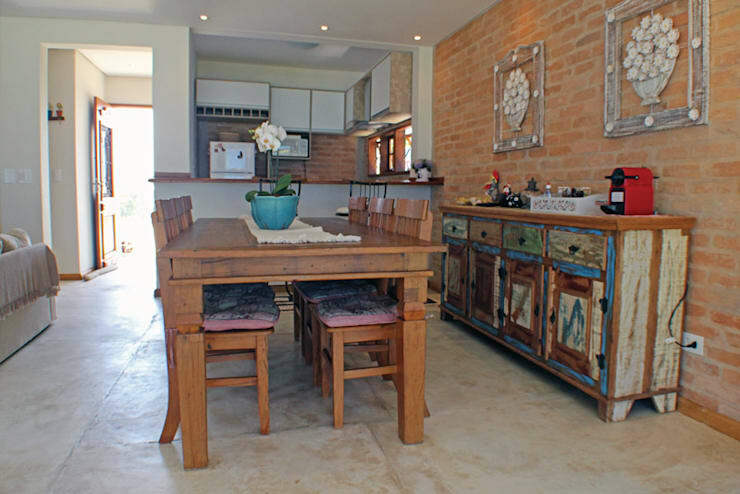 Here we see a wooden counter separating the kitchen and dining area of the home, which creates a convenient way to pass food from the kitchen to the dining room, and as a result of the cosy fixtures and fittings, the rustic décor is enhanced, making it an attractive feature of the home. The neutral colour of the wood doubles up as décor, adding a comfortable design to this interior. One of the major attractions of this living room area, has to be the comfortable sofa and fireplace. Enjoy your favourite TV show indoors on a chilly night and be warmed by the fantastic fire, or wake up to a good cup of coffee and newspaper and be amazed by the finer, simpler things in life. 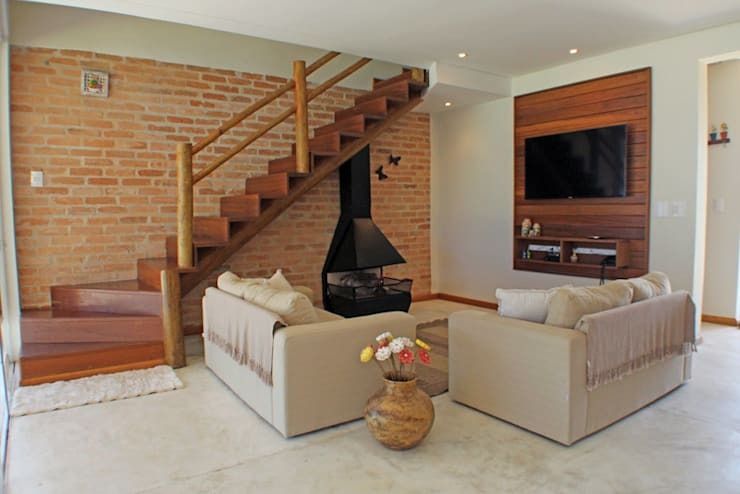 The wooden staircase is another great rustic element of décor, and adds an interesting effect to the entire room. 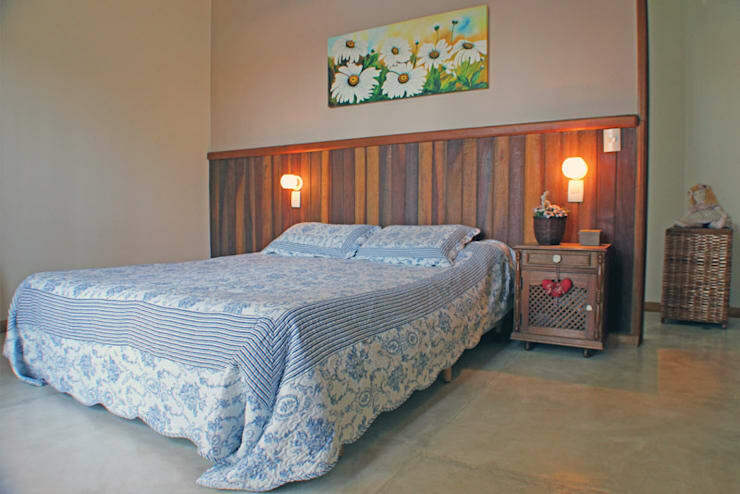 As we head upstairs to the sleeping quarters of the home, we come to the comfortable and simple bedroom. The wooden furniture is the perfect choice for this rustic home, while the light blue bed linen is chic and relaxing, it reminds you of a visit to your grandmothers’ home in the country. We have come to the end of our tour, but we need to enjoy the sight of the front façade too. The symmetrical architecture is harmonious and inviting, while the simple design is elegant and cheerful. 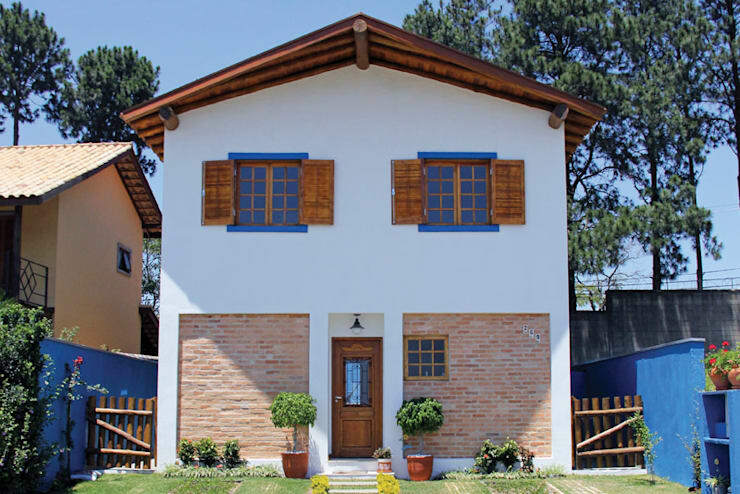 This home would definitely be an enchanting addition to a colourful neighbourhood, and who wouldn’t want to enjoy the rustic charm of the exterior? Here's: A perfect little home that this couple built right before their wedding!. Did you enjoy this rustic home inspiration?